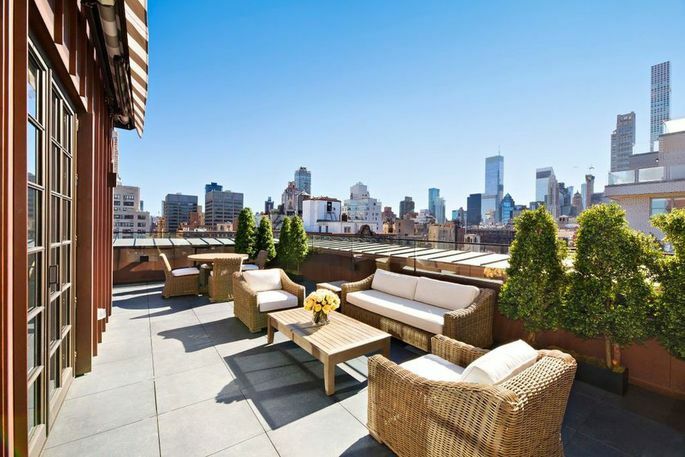 A “dramatic” triplex penthouse perched atop New York City’s Marquand building is this week’s most expensive new listing on realtor.com®. 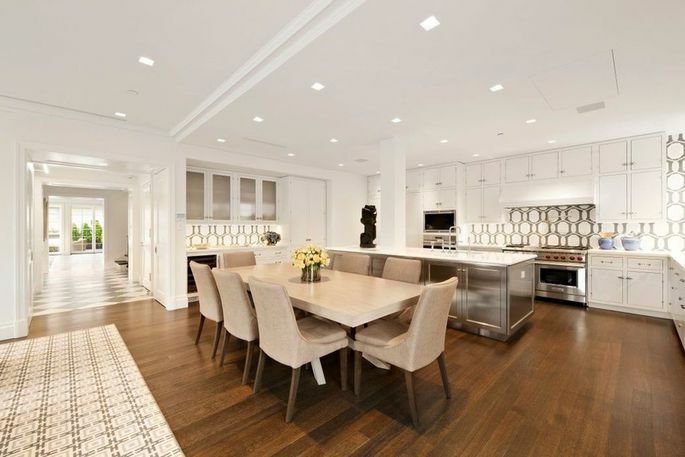 The Upper East Side abode is listed for $36 million, and its three floors include six bedrooms, five full and two half baths, four large terraces with enviable views, four fireplaces, multiple French doors, and oversized windows. The enormous unit first came on the market in 2013 for $43 million, when the 100-year-old building was converted to luxury condos. There are just 26 units in the building, with prices starting at $15 million. The backstory on the classic NYC building is a good one. 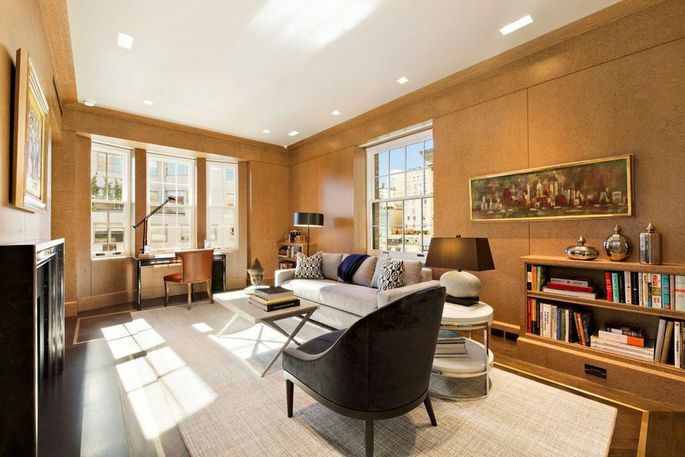 Where the condo unit stands was initially a giant mansion on the same corner of Madison Avenue and 68th Street, built by the financier and art collector Henry Gurdon Marquand in the 1880s. After his death in 1902, Marquand’s mansion was left empty, and then sold in 1912. In 1913, it was demolished. A Beaux Arts Revival structure went up in its place, and in a nod to its roots, left the monogram “M” on the third floor. The building’s owners advertised to renters as Marquand House. According to a New York Times history, rents ran $165 for six-room apartments and a whopping $580 for 13-room apartments. Surrounded by the retail mecca on Madison Avenue, the building had commercial tenants on the ground floor. It was purchased by HFZ Capital, and condo conversion and a building modernization were carried out in 2013. 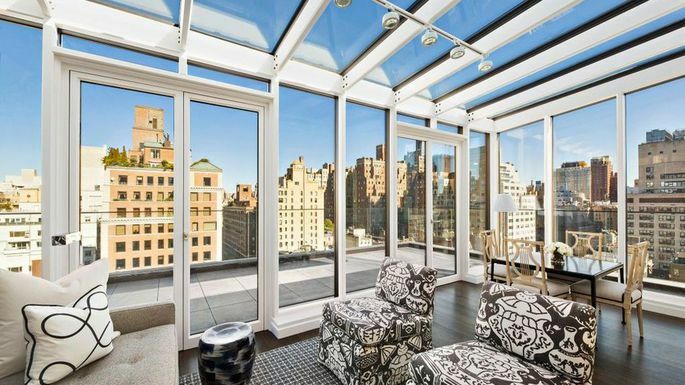 Reports noted at the time that the penthouse unit was being sold as a “white box” for an owner to customize. White box no more, the three-story mansion opens to a barrel-vaulted gallery that leads to a living room with fireplace. Off of the living room is a wood-paneled study, along with a butler’s pantry and bar. The gallery leads to a great room for dining and entertaining, all of which access the wraparound terrace. Opposite is an eat-in kitchen and family room, which also access the terrace. The private quarters include a master suite with two walk-in closets and a large marble bath. On the top floor, there’s a glassed-in solarium that could work as an additional bedroom or an office, with a bath. Surrounded by two terraces, the space incorporates a pool and hot tub. The building’s opulence has attracted at least one celebrity purchase. 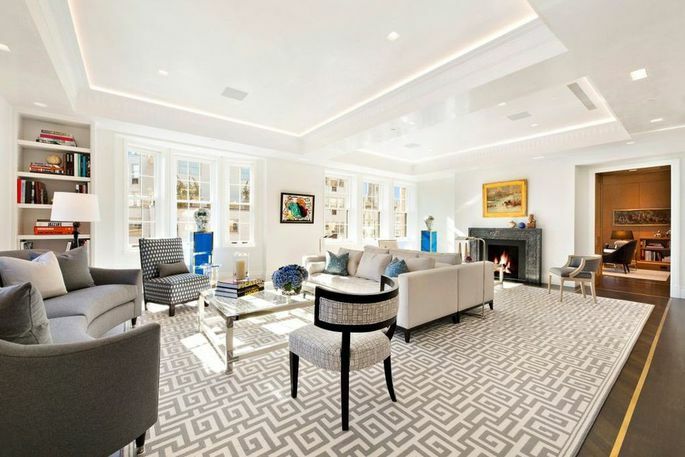 Model and fashion designer Kimora Lee Simmons’ husband, Tim Leissner, purchased a $19 million pad on the eighth floor of the Marquand in 2014, the New York Post reported. The meticulously restored 13-floor structure offers luxury amenities, such as white glove concierge and door attendant services, a gym, playroom, and a live-in resident manager. The current owner has plans to add additional bedrooms to the layout, which could be delivered prior to closing, according to the listing description. 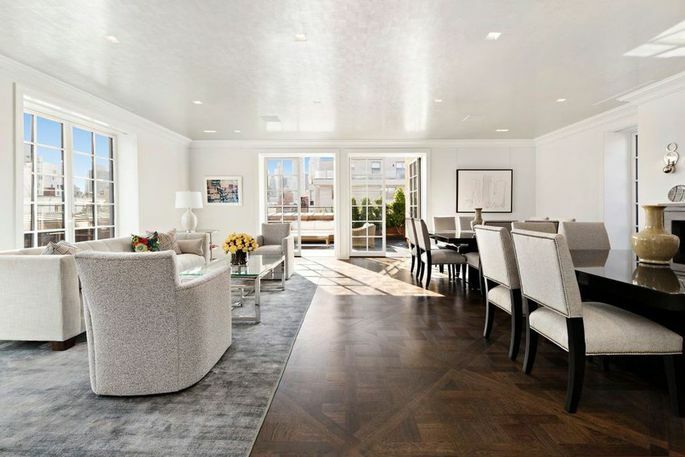 If this still isn’t enough space, there’s an additional studio or guest apartment on the seventh floor, with a bath and kitchenette available separately for $1 million.